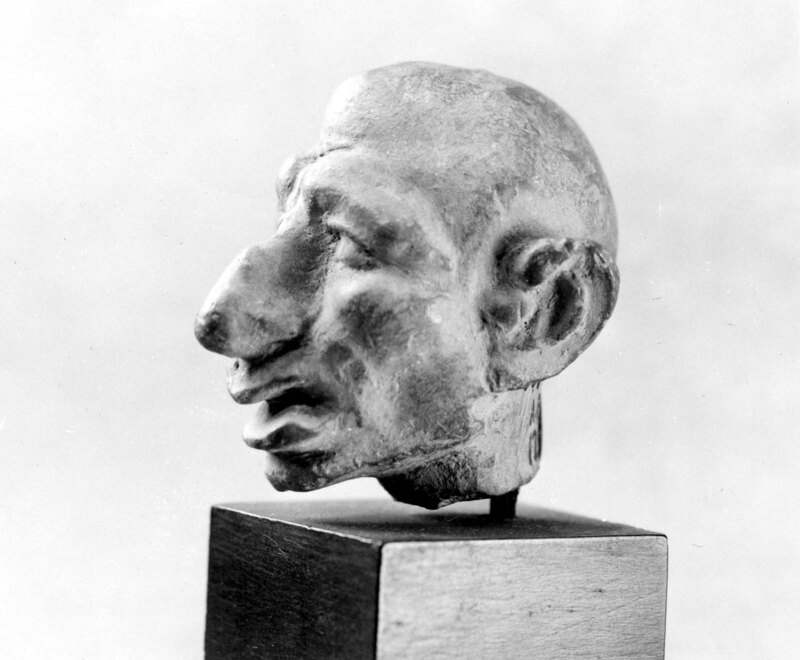 2nd century B.C.–2nd century A.D.
Caricature. 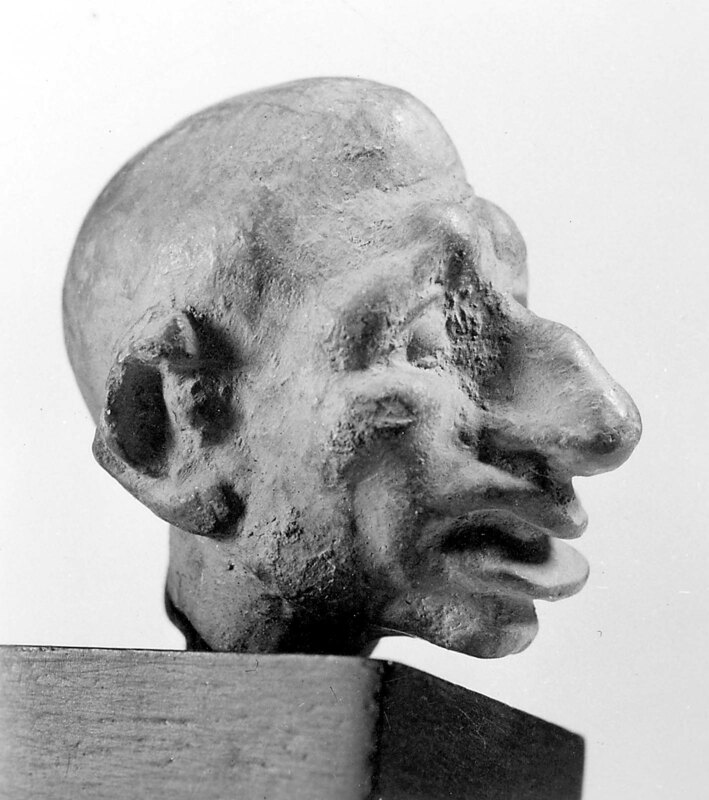 Idiot’s head: small skull, pinched together in front; huge ears; large nose with high bridge; heavy lips; large mouth, which is open. Bald. Part of the right ear missing.